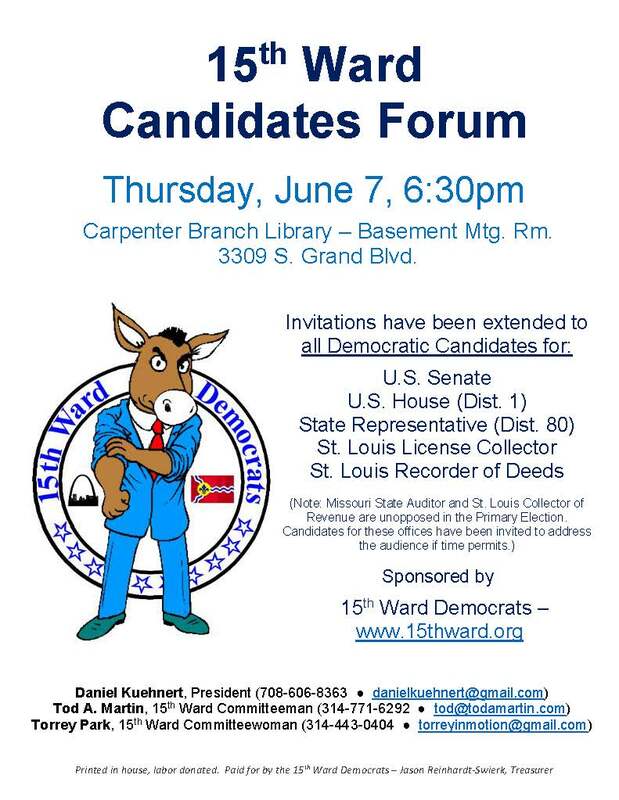 Please join us for the 15th Ward Democrats Candidates Forum. Invitations have been extended to all Democratic candidates for the following offices: U.S. Senate, U.S. House (Dist. 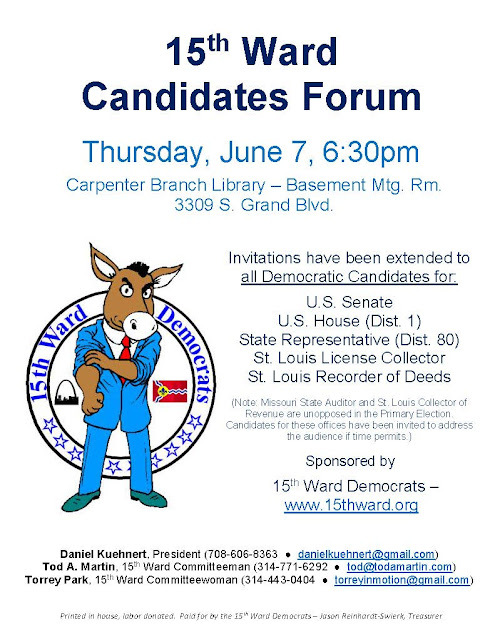 1), MO State Auditor, State Representative (Dist. 80), St. Louis License Collector, St. Louis Recorder of Deeds, St. Louis Collector of Revenue.